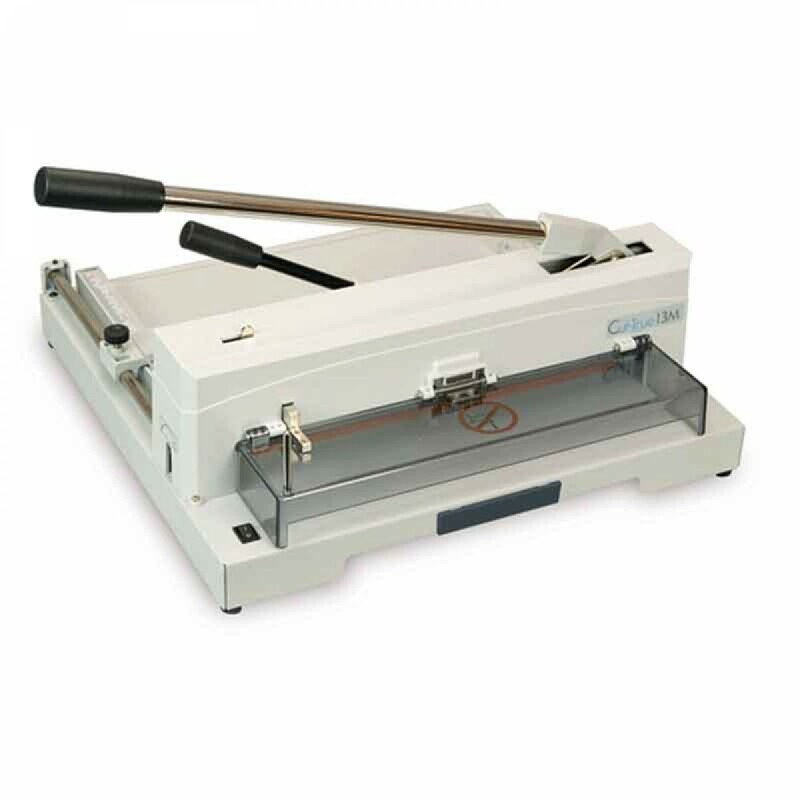 The Formax Cut-True 13M Tabletop Manual 14.5" Paper Cutter saves time and money. The Formax Cut-True 13M Tabletop Paper Cutter is rugged and compact with a hardened steel blade and LED Laser Line for precision cutting with minimal effort. Simply load a stack of paper, up to 14.5 wide, secure with the clamp, and pull down on the lever arm; its that easy. The back gauge and calibrated scales allow operators to make fine adjustments, while the Laser Line shows exactly where the blade will cut, making crisp accurate cuts every time. In addition to accuracy, the Cut-True 13M has a range of safety features including front and rear transparent covers, blade lock, external blade depth adjustment, and easy-to-use blade changing handles. The Cut-True 13M cuts stacks up to.75 high and is ideal for small print shops and others who want to produce professional-quality brochures, invitations and more.